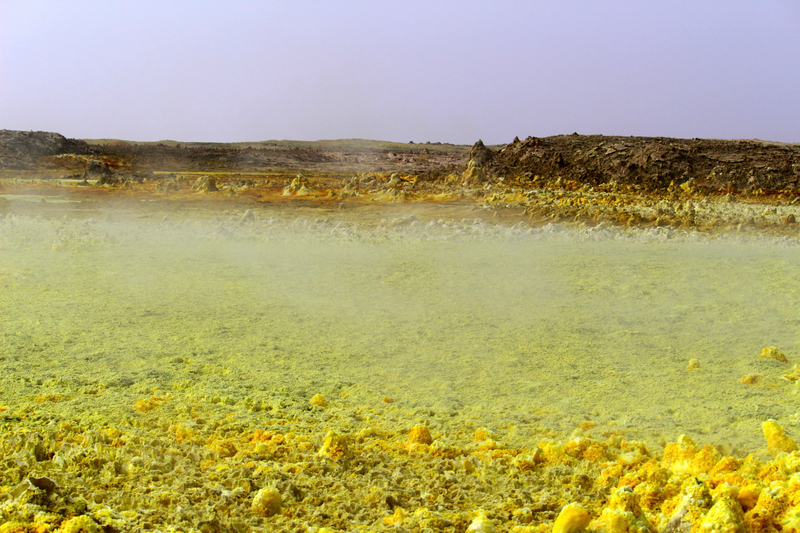 Water at near-boiling temperatures bubbles up from underground, high salt concentrations create multi-colored structures, and chlorine and sulphur vapor fogs the air. This month, researchers from the Europlanet 2020 Research Infrastructure, carrying out the first investigation into the site's geology, mineralogy and biology, have found that the Danakil Depression hosts at least three extreme ecosystems that have the potential to help us understand how life might arise on other planets and moons. "There are very few scientific publications on the site and no biological descriptions, so we are genuinely exploring new ground from a scientific point of view," said Dr. Felipe Gmez Gmez of the Centro de Astrobiologa (INTA-CAB) in Madrid, who led the expedition. "It is an amazing but hostile place -- the temperatures were 42 degrees Celsius during the day and 30 degrees at night, and the chlorine vapor burned our airways. Any microorganisms living here will be extremophilic microbes of a major interest to astrobiologists." 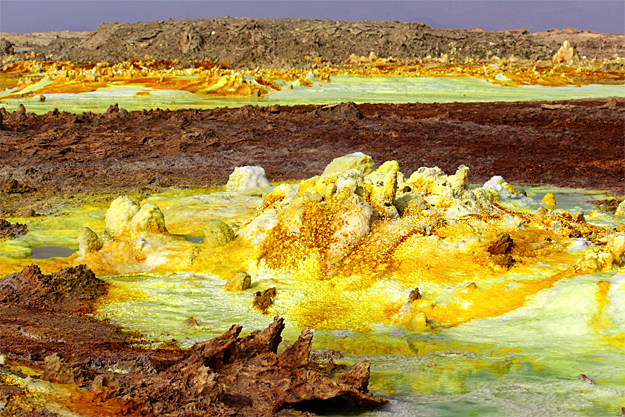 The Danakil Depression is a volcanic area that stretches from the Dallol Volcano to Lake Assal, close to the Ethiopian border with Eritrea. The area is more than 100 meters below sea level and magma flows very close the surface. Rainwater and seawater from the nearby coast are heated by the magma and forced to the surface, carrying many different salts in solution. In some areas, where the upwelling water is 90 degrees Celsius and highly acidic, high concentrations of sulphur create bright yellow chimneys. Elsewhere, pools of water at 40 degrees Celsius are colored a turquoise green by copper salts. 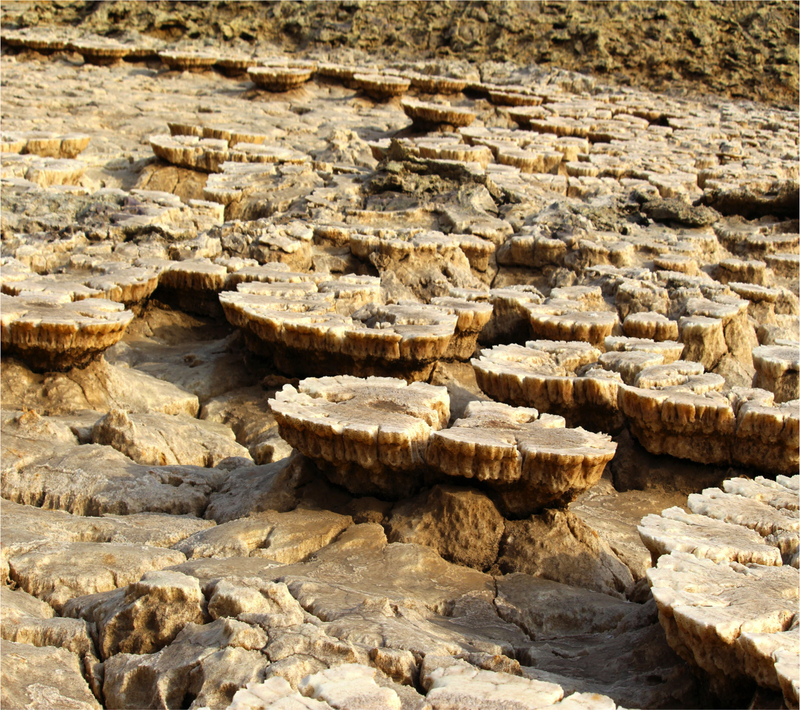 Dry iron-rich salt crusts form flat mushroom-like features. In some places, several different salts are present, creating a riot of color. 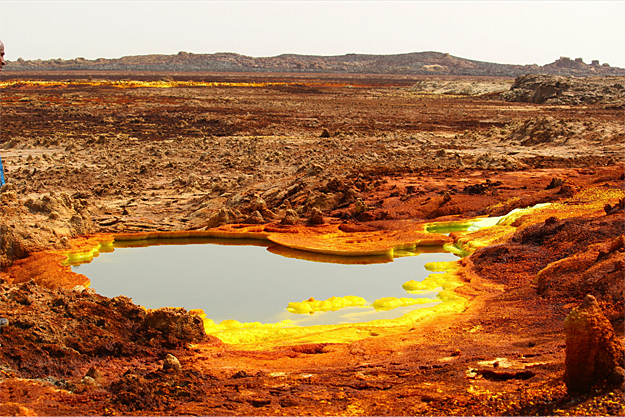 The expedition to the Danakil Depression had three aims: to characterize the regional geology, including the geomorphology and geochemical composition; to survey the area for different metabolic environments in which bacterial populations could have become isolated; and to extract DNA from any bacteria found to develop a metabolic model for the system. Over three days from 5-7 April, the team set up equipment in different stations across the site and measured a range of physical and chemical parameters, including pH, temperature, humidity and oxygen concentrations. The team also collected samples of bacteria and tested a new technique for DNA extraction. The three researchers included Dr. Nuria Rodrguez Gonzlez of INTA-CAB and Dr. Barbara Cavalazzi of the University of Bologna. The field trip was funded as part of Europlanet 2020 RI's joint research activities and was the first in a series of expeditions to prepare the site as a planetary analogue for access by the wider scientific community. 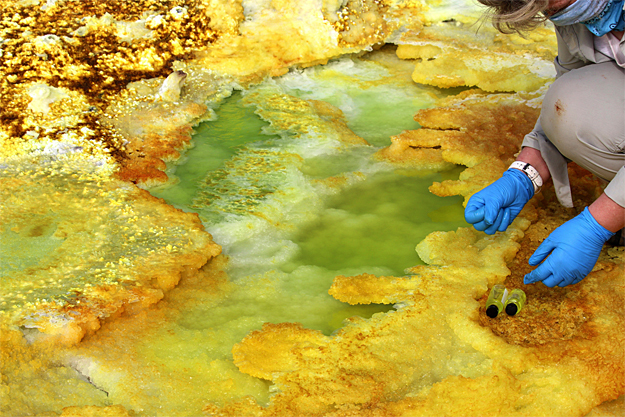 "After mineral and geochemical characterization, we will know what kind of materials and bacteria are present and be able to identify the most interesting sites for astrobiology purposes. 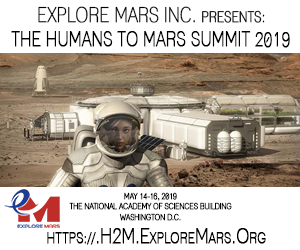 We are now starting the analysis of our samples and are planning a follow-up trip in a few months' time," said Dr. Gmez. 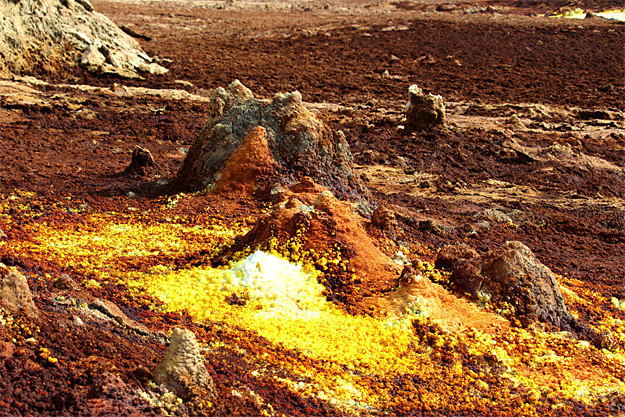 Since 2005, Europlanet (http://www.europlanet-eu.org) has provided Europe's planetary science community with a platform to exchange ideas and personnel, share research tools, data and facilities, define key science goals for the future, and engage stakeholders, policy makers and European citizens with planetary science. The Europlanet 2020 Research Infrastructure (RI, http://www.europlanet-2020-ri.eu) has received funding from the European Union's Horizon 2020 research and innovation program under grant agreement No 654208 to provide access to state-of-the-art research facilities across the European Research Area and a mechanism to coordinate Europe's planetary science community. 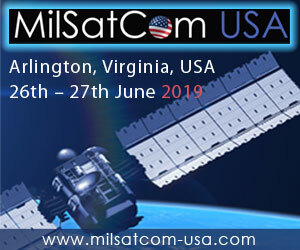 The project builds on a 2 million Framework 6 Coordination Action and 6 million Framework 7 Research Infrastructure funded by the European Commission. 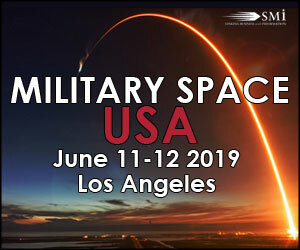 The Europlanet collegial organization, linked by a Memorandum of Understanding (MoU), has a membership of over 70 research institutes and companies.